Are zombies the new vampires? 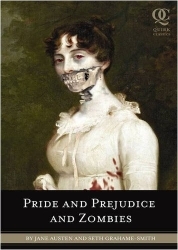 when you take a look at the original book, it’s almost as if, subconsciously, Jane Austen is laying out the perfect groundwork for an ultraviolent bone-crushing zombie massacre to take place. …there’s this zombie onslaught that’s been going on for years and Elizabeth Bennett has spent her whole life training to become a highly efficient killer of the undead, as has Darcy. It’s more about a love story between two headstrong independent zombie slayers. I can’t resist the title of this book: The Forest of Hands and Teeth (US | UK) by Carrie Ryan. It’s a zombie story with a love story—no guaranteed HEA, but I read Ryan’s Big Idea post on the Whatever, and you can’t tell me that’s not one of the sweetest, most romantic write-ups for a story idea you’ll ever read. 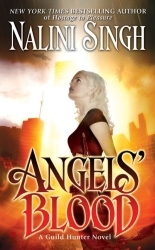 Click here for an excerpt or here for a surprisingly good trailer. Thanks to Google, I know where I first heard of this book. There’s a short review at Tez Says, and according to one of the comments, the book will be out in April, although on the Hachette website, it says June. But I’m so intrigued I’m considering putting in a special order at Galaxy (if I don’t score an ARC *fingers crossed*). I really, really want to read this book. Update: Click here for my review of The Forest of Hands and Teeth. What can I say? I’m suffering from ARRC withdrawal. Click here for a full list of Book Thingo’s coverage of the ARRC09 and a collection of links to write-ups on other blogs. 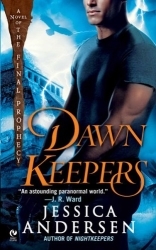 This week was Read an Ebook Week, and to celebrate, Tor has a free download available of Spiritwalk by Charles de Lint. Read any good ebooks lately? We’d love your recs! Speaking of ebooks, the Eppies have been announced, and Jess Dee is a co-winner in the Romance/Erotica Anthology category for Three’s Company. Click here for more details on Jess Dee’s novella, A Question of Trust, or to buy the ebook version. It is time for an academic society for the study of popular romance fiction, with all the rights and privileges appertaining thereunto, like a journal and conferences. So we have decided to start one! “We” being myself, Eric Selinger, and a few other people who are already interested in being involved. The society will be called The International Association for the Study of Popular Romance (IASPR) and the journal will be an online, open-source journal called The Journal of Popular Romance Studies (JPRS). The annual Tournament of Books has begun over at The Morning News: “The Tournament of Books is an annual battle royale between 16 of the best novels published in the previous year.” Nary a genre book to be found, but the battles are fun to read. Publisher’s Weekly blog Beyond Her Book has been hosting a week-long virtual party to celebrate the blog’s second anniversary. She has heaps of books to give away, so go and see if you can nab a freebie. RPG: Look at my sister! She started reading Mills & Boon in high school, she never stopped. Forty years later and she hasn’t been on a date! Wandergurl (looks straight at him): Have you been on a date recently? RPG: That was mean! I have kids! 25/3 —Linda Jaivin at Readings Carlton, 6.30pm | Bookings: 03 9347 6633 or events@readings.com.au or Facebook. 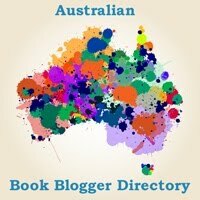 Book Bizzo is a weekly omnibus of news items, events, and other interesting tidbits related to books, and especially the Australian romance book industry. You can find past Book Bizzo posts here. Did we miss anything important? Got a book event coming up? 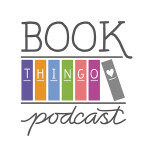 Feel free to send tips, press releases, and any other interesting links to kat@bookthingo.com.au. Tagged ally blake, anna campbell, australian romance readers convention, awards, berkelouw, bloggers, book bizzo, booksellers, carrie ryan, denise rossetti, dorothy parker, iaspr, jess dee, journal of popular romance studies, kate legge, linda jaivin, pride and prejudice, readings, seth grahame-smith, wendy harmer, zombies. Tez, I feel your pain. Between writing a review and reading another book … well, you can guess which one wins, and at the moment I have too many unread books. Every time I think of zombies, I think of Shaun of the Dead, so they don’t actually seem particularly scary to me.